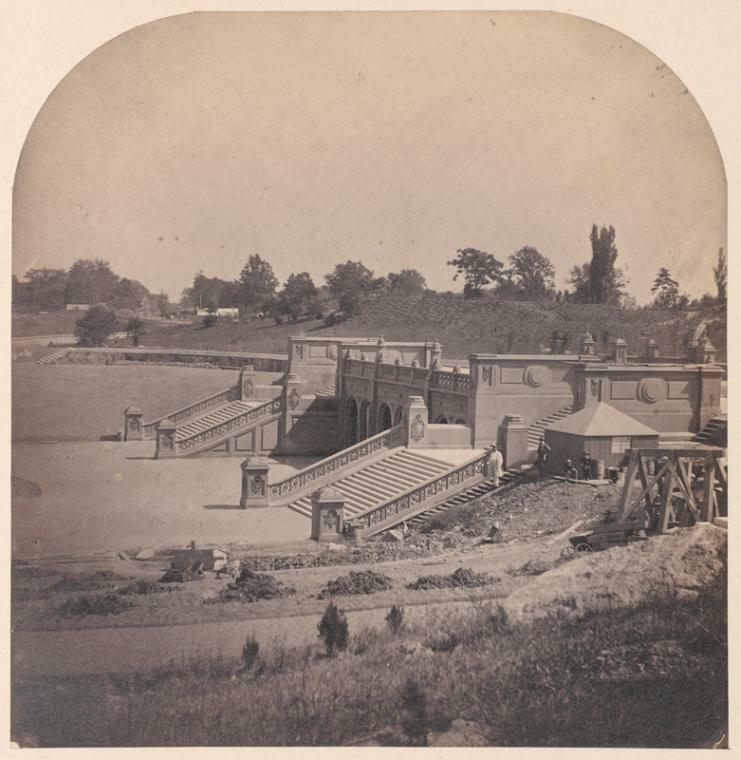 When Central Park opened in stages in 1859 through the 1860s, designers Frederick Law Olmsted and Calvert Vaux scored much of the credit for the park’s beauty and brilliance. But what about all the anonymous men who did the physical work—the laborers tasked with taking 843 rocky, swampy acres and reshaping it a man-made oasis of nature? Here’s a little of what we know about them. 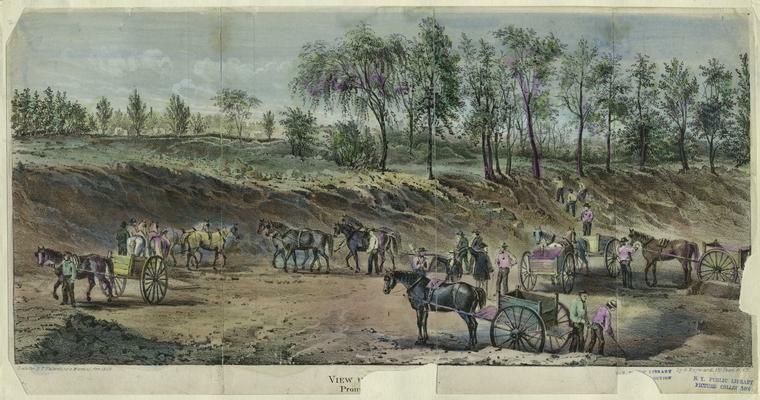 “By the spring of 1858, more than three thousand men were busy dredging, clearing, grading, and planting—laboriously remodeling every feature of the rugged landscape,” wrote Ric Burns and James Sanders in New York: an Illustrated History. “To prevent any trouble with the Irish, African Americans were excluded from the workforce entirely,” state Burns and Sanders. It was grueling, dangerous work. 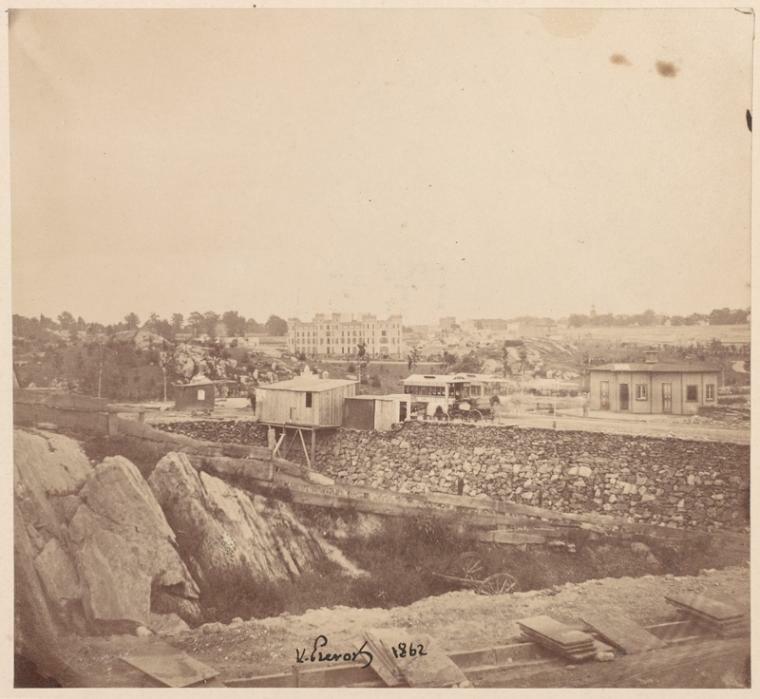 Boulders had to be blasted out of the ground with gunpowder, then loaded onto horse-drawn trucks; “blasting foremen” were paid an extra 25 cents a day, according to The Park and the People, by Roy Rosenzweig and Elizabeth Blackmar. 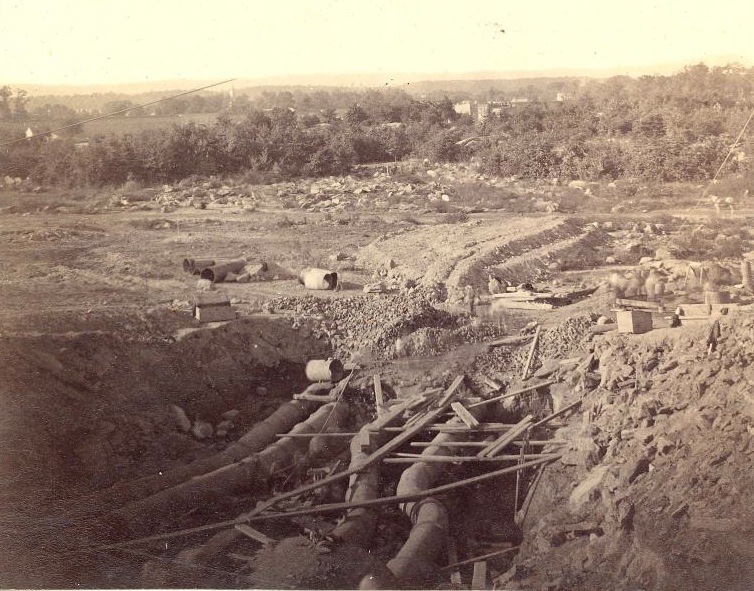 After the ground was ready, “workmen installed ninety-five miles of underground pipe, creating an artificial drainage system—itself a masterpiece of sanitary engineering—then set to work relandscaping the entire site with 6 million bricks, 65,000 cubic yards of gravel, 25,000 trees, and a quarter of a million shrubs,” wrote Burns and Sanders. 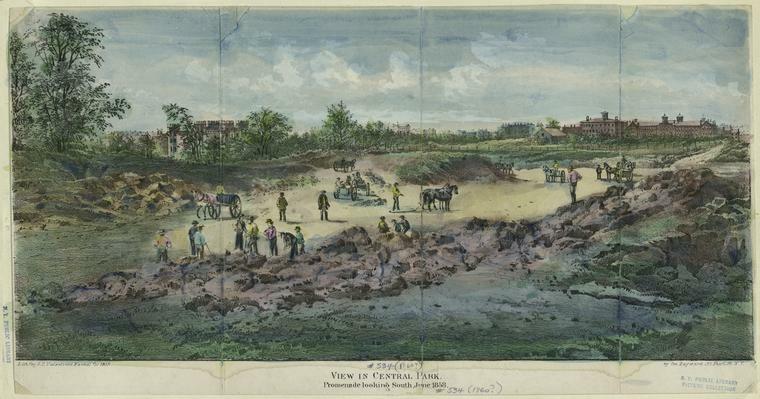 Pavers working on the park’s walks and drives were also paid more than day laborers, as were stonecutters, who ended up making $2.25 a day in 1860—an improvement over the wages paid in the late 1850s, on the heels of the Panic of 1857. Where did this army of workers live? “A park laborer’s average income might pay the rent for one room with sleeping closets in a Lower East Side tenement or for an uptown shanty,” write Rosenzweig and Blackmar. This entry was posted on July 14, 2014 at 4:26 am and is filed under central park, Music, art, theater, Urban beauty. You can follow any responses to this entry through the RSS 2.0 feed. You can leave a response, or trackback from your own site. Central Park is a complete miracle! It is because of all the talented, hardworking, creative and magical imaginations of the people who imagined it; and crafted it, and built it! Bravo! And Bravo also to “Pale Male”! (I think the first red-tail hawk in Central Park for 50 years) is now about 27! He and his latest mate just hatched 3 eyeasses (all healthy and all nearby) this year! and so is the PARK!!!!! Interesting information about the workers. Small clarification – dynamite wasn’t patented by Nobel until 1867. Blasting was done in the park using gunpowder, probably even more dangerous than dynamite. You’re right, thank you! Fixed. This post once again highlights the anonymous who physically create the gardens.